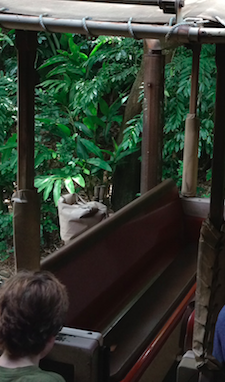 Kilimanjaro Safaris: This ride involves safari trucks with bench seating. All five of us used to fit comfortably in one row. Not it’s a bit tight, so we spread out over two rows if possible. 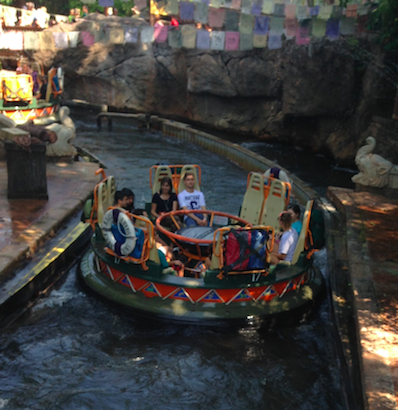 Kali River Rapids: The big, round raft seats 12 people, so we all fit just fine. Expedition Everest: You can only fit two people per row, but there are plenty of rows per ride vehicle, so we can do a 2-2-1 configuration. 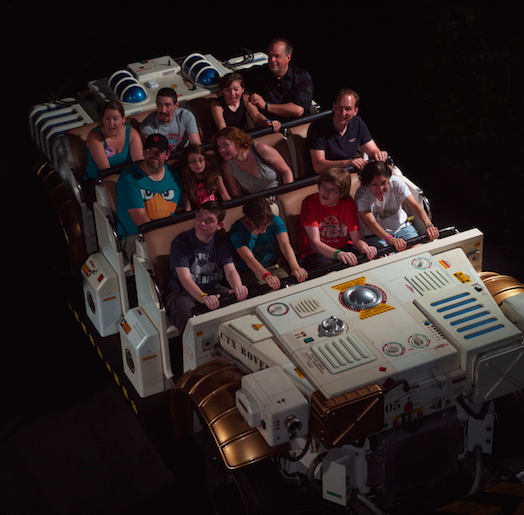 The other rides at Animal Kingdom only fit 4 people per ride vehicle, leaving an odd man out. However, as I’ve mentioned before, we never let that stop us from riding – we simply find a way to make it work! 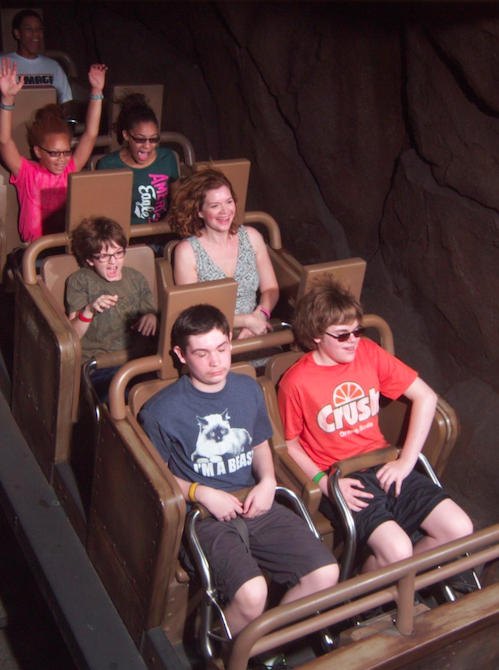 For the other posts in this series, see Rides for Five: Magic Kingdom, Rides for Five: Epcot, and Rides for Five: Disney’s Hollywood Studios. This entry was posted in Animal Kingdom, Disney, Walt Disney World, Walt Disney World attractions and tagged Animal Kingdom, Dinosaur, Disney, Disney for five people, Disney for larger families, Disney World, Disney's Animal Kingdom, Disney's Animal Kingdom ride vehicles, Disney's Animal Kingdom rides, Expedition Everest, Kali River Rapids, Kilimanjaro Safaris, travel, vacation, Walt Disney World, Walt Disney World rides. Bookmark the permalink.